We’ve had a brilliant time today at Bachilton Barn, what a great venue for a Wedding in Scotland. 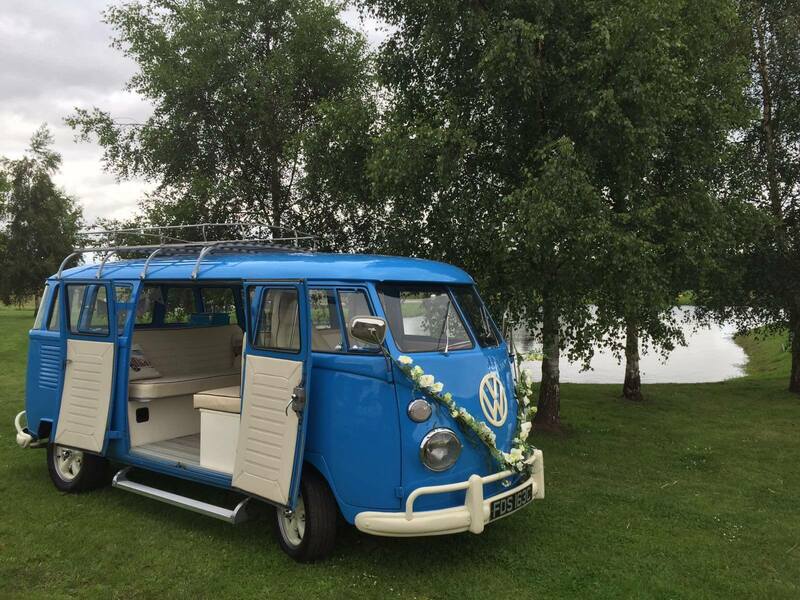 As it’s a central location, it suits guests coming from all parts of the country and it also suits Meg, our 1965 Volkswagen split screen microbus as she gets to hang out and pose for photos with admirers all day long. It is great when the guests get to interact with Meg and she becomes part of the Wedding entertainment. People of all ages like to get in and see what it feels like sitting in her beautiful, calm, cream interior. The weather was a bit windy in Perthshire today, so guests weren’t outside for long but Meg waited to greet the evening guests and was well admired as always. Hotel Weddings, Castle Weddings, Stately Home Weddings, Beach Weddings, Church Hall Weddings, Golf Club Weddings, Tipi Weddings, have all been happy events that Meg has been the wedding transport at. As she’s kept in such immaculate condition and seats seven besides the chauffeur, she is very versatile and can be well suited to different themes. Our selection of floral decorations and ribbon choices means her appearance can be personalised for you as well. Just remember if you want your guests to be able to enjoy Meg also that a City Centre Wedding doesn’t always allow that. No problem, if you want to keep her for only the Bridal Party & Groomsmen to sit in but tell the photographer not to leave his jacket in the wedding car!